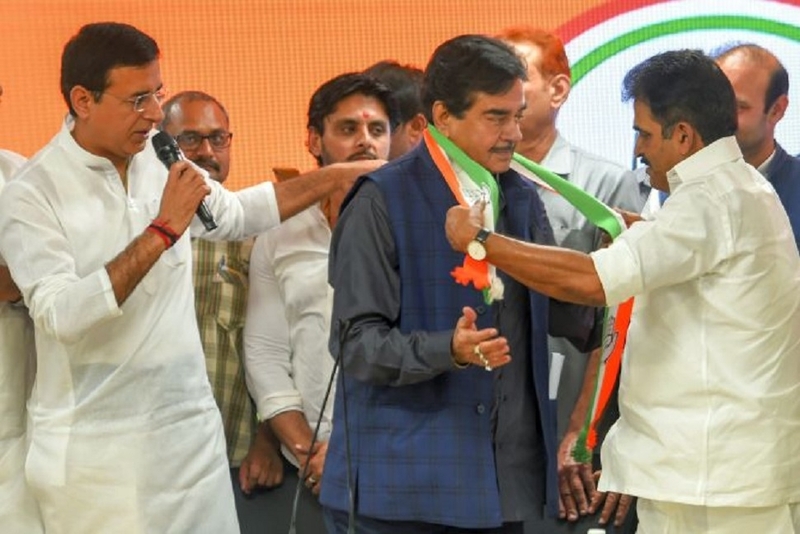 ACTOR-POLITICIAN Shatrughan Sinha joined the Congress on Saturday in the presence of its senior leaders at the party headquarters here. Congress General Secretary K C Venugopal welcomed Sinha into the party fold and termed him the ‘best politician who was earlier with the wrong party’. Sinha represents Bihar’s Patna Sahib seat in the Lok Sabha. He is all set to take on the BJP’s Ravi Shankar Prasad in the constituency. Congress spokesperson Randeep Surjewala, AICC in-charge for party's Bihar unit Shaktisinh Gohil welcomed Sinha into the party.